! This is NOT a method of direct communication with IN THE GARDEN for purposes of ordering or rectifying problems. Flowers were beautiful, looked very much like photo, with the modification I requested. Perfection! The most beautiful floral arrangements anywhere. The owner is beyond the best at what she does. Thank you!!! The flower bouquet you delivered to our friend in the hospital was just enough to put a smile on his face....thank you for all your efforts in making the flower arrangement beautiful!! The flowers were amazing and my Aunt Marie was thrilled! Perfect gift for her bday and your customer service was phenomenal! Very pretty arrangement and a great value for $75. The delivery charge was also fair. The blue hydrangeas had wilted by the morning after our event. I don’t think they are hardy enough. I would definitely order from you again. Thank you for making our table extra special. Hello and Thank you for your order and review. I am sorry about the hydrangea, sometimes they are troublesome. It is always our hope to make the longest lasting displays that meet or beat our clients expectaions. Congratulations on the graduation! Beautiful work & the flowers lasted a long time. I wanted to send flowers to my friend for a loss of someone very dear to her. Because I know she is VERY particular when it comes to flowers, I took my time and researched reviews and chose In the Garden. My friend was EXTREMELY impressed with arrangement and asked me where I got them from. She will be ordering , as will I. Thank YOU ! Wow! Thank You for the great review! We look forward to working for you both in the future! Thank You. I was very happy with the selection and pricing, and the person who I sent the flowers to absolutely adored them and said they brightened their day! I will definitely use In the Garden again for gift flowers. Thank You! We are glad you had a wonderful experience with us! We look forward to working for you again. Once again, I received two beautiful arrangement of roses and assorted flowers from the fine staff of In The Garden. They brightened up my birthday. Thank you! Thank you! We are here to spread cheer anytime it is needed. I've ordered from "In the Garden" several times and they've always exceeded my expectations! I was ordering flowers from out of state and appreciated the several attempts to deliver the flowers when the recipients were home because of the cold weather. Thank you. You guys were great, I placed order on the late side and delivery was spot on. Once again, I received magnificent, beautiful flower arrangements on my birthday and Valentines Day. Thank you to the fined staff at In The Garden. They do one heck of a job! In The Garden always provides excellent service and interesting arrangements. There is artistry in their work. As always, the flowers I received were quite magnificent...beautiful, colorful, exquisite. 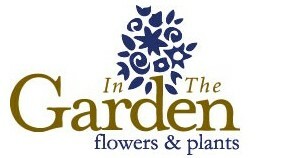 Thank you to all the staff at In The Garden! As always, the flowers I received from In The Garden were magnificient, bright, cheerful, beautiful. They placed a smile on my face. Thank you all! They were gorgeous and perfect! I recently received a magnificent display of colorful flowers from In The Garden, as always they do such a splendid job, bringing a smile to my face. The flowers were GORGEOUS! The best arrangement I have EVER received. The delivery driver was extremely courteous. Thank you very, very much. It made my Father's Day! Flowers were lovely and fresh! My friend loved them! Thank you so much for delivering the most beautiful arrangement of flowers! They arrived so nice and fresh, definitely made my mother happy. I will be back! The flower arrangement you did was tasteful and beautiful. Thank you so much for doing such a great job on such a short notice. The flowers and the arrangements are always great and my fiancée loves them. As always, the flowers I received for my birthday from my husband and son, were magnificient....beautiful...the congenial, professional staff at In the Garden work very hard to place huge smiles on their client's faces! Happy Birthday Sandy! You are surrounded by very thoughtful people. Thank you for the review, and patronage! I live in California but my mother-in-law is in Atlantic Highlands. I found In the Garden through yelp, took a chance a few years ago, and I've been using them ever since. Their arrangements are always inventive and make my mother-in-law smile, which is the most important thing. On the occasion when there was a minor hiccup, they called me right away and made things right. I am so glad to have found a reliable go-to flower shop that I know I can depend on from across the country! Prompt service and beautiful arrangement delivered. Thank You for ordering from us! I hope Florida is treating you well! Always beautiful flowers, always great service! The flowers were so so beautiful. Thank you for all the care you take. Thank you, Barbara! We do love what we do. Thank You Sandy and Rich. I hope the online ordering was a breeze for Rich. We find it to work great for us especially when we are sometimes hard to reach. The orders comes directly to my email, and my cell phones get a reminder call every half hour if needed for us to download the information. Happy Birthday Sandy! Great Flowers, My Girlfriend loved them. Even better I had them delivered on Halloween and forgot she was going to be late getting home. Your delivery person dropped them off at her neighbor next door rather than leave them on the porch as instructed. She got them the next day without a problem and I can't thank your delivery person enough for their thoughtfulness. My girlfriend lives in New Jersey and loves your always unique arrangements. They are always fresh and last longer than other florists I have used in New Jersey. The only issue I have ever had is that it is harder to have arrangements delivered earlier in the week. I understand I can call to get it earlier, but I travel a lot and some places I travel too I just can't call from. I bought these flowers for a friend and they were beautiful. They have such great customet service. I accidently mixed up the addresses and when they realized that no one was home, they made sure to call me and ask me what to do, and when we got everything correct they went right back out and delivered them! THANK YOU GUYS FOR ALL THAT YOU DO!!!!!! I arrived home on Friday night to find a beautiful floral arrangement on my doorstep. My boyfriend has sent flowers before, and I know they are not cheap, but many times arrive looking less than stellar. I mentioned to him that I had seen some of "In The Garden's" work at the Little Silver VNA Showhouse, and how beautiful the arrangements were. Well obviously he listened. The arrangement In the Garden left on my doorstep far exceeds any other that he has sent. Color, composition, and choice of flowers were all perfect. Still enjoying them everyday since. As usual, In The Garden did an outstanding job; the flowers were fresh and beautiful. My daughter loved the flowers. In fact they were so beautiful that she sent us a photo. They were great thank you so much.